Linda from Odessa – helping women with Lupus reclaim their health. This was me before Carrie Holley-Hurt!!! She is an awesome health/wellness coach! It was so easy to work with her as I started slowly making life changes! She took my sugar addiction when I vented and rather lashed out over my inability to achieve goals and somehow managed to turn it into positive changes! I was surprised how easy it was to be brutally honest with her over my failures and how she worked with me to change my attitude/thoughts!!! Most amazing of all is that she taught me how to love myself enough to make the changes for ME!!! To mother myself!!! I had a 6 grams of sugar “sin” over 4 days of babysitting/vacationing with grands!!! And for lunch today, delighted over my “lovely” salad (giraffe food following a visit to Abilene Zoo)! 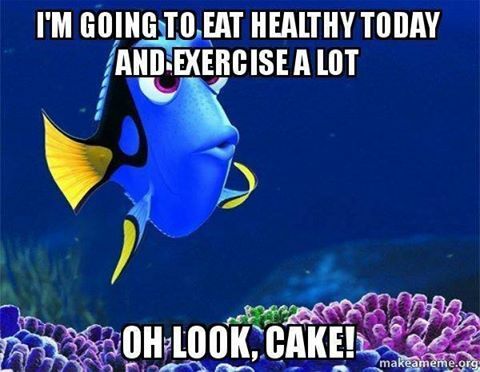 Anyway, I detract… Bring on the cake! I’m having beautiful organic blueberries, a crunchy Apple, some powerful proteins!!! Love you, Carrie Holley-Hurt! !